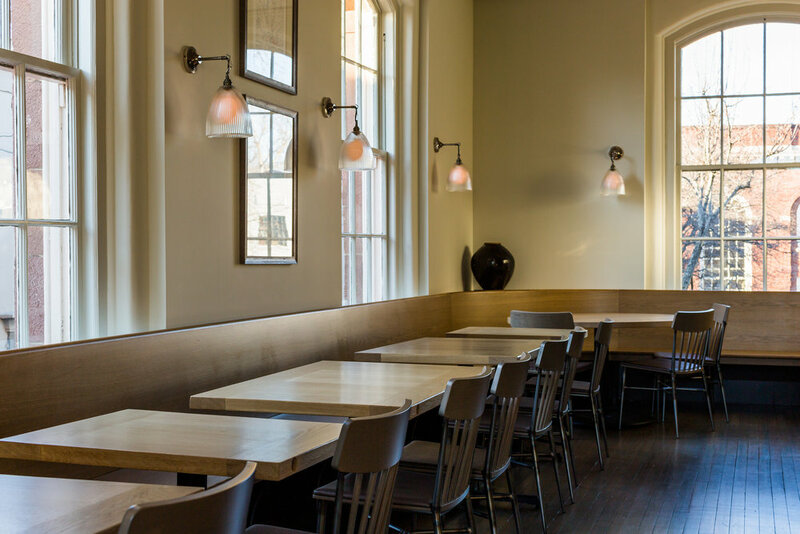 Jesup Hall, the third Westport restaurant by partners Bill Taibe and Massimo Tullio opened in March of 2017 with Chef Daniel Sabia at the helm. More classically themed than The Whelk and Kawa Ni, clean lines and New England accents bring the bright and airy space to life while embodying "old world Westport" charm. Serving seasonal American cuisine, much of the menu is dedicated to meats and vegetables. 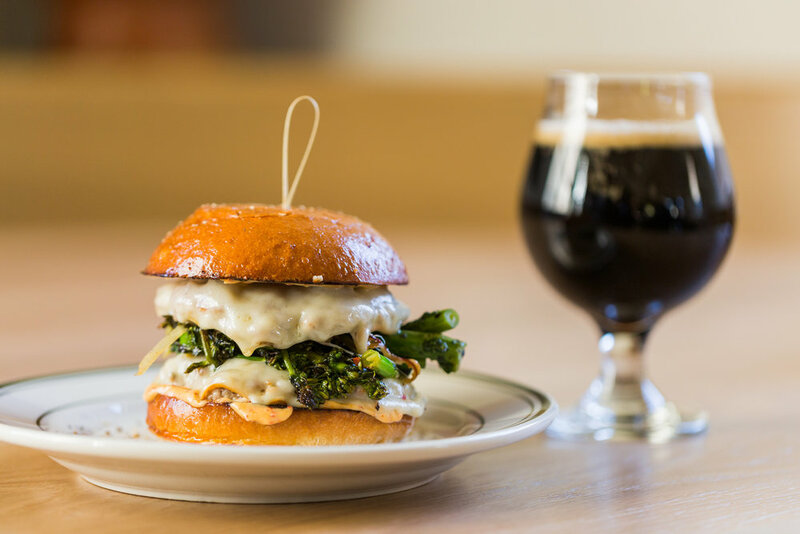 The kale caesar with subarashi pear and tapping reeve cheese is a stand out, as is the pork and fermented broccoli rabe burger. Dishes like grits with warm crab and n'duja, popovers with southern ham and coffee butter, and warm olive monkey bread with raw sheep cheese ensure that there are plenty of guilty pleasures to choose from. Another focus will be large entrees meant for sharing- currently they offer a 34 oz aged beef tomahawk steak for the table. The cocktail list is simple and made up of drinks "you would want to have with a steak." 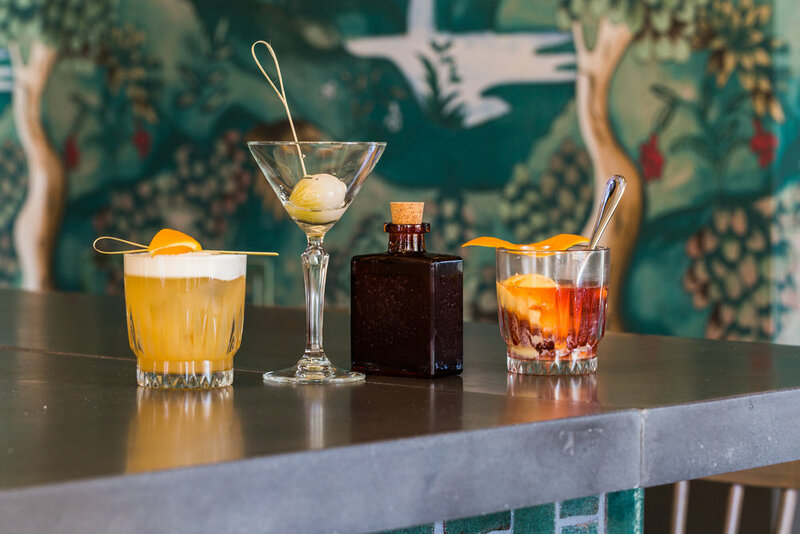 Classics like the Brandy Crusta, Gimlet and Manhattan are served alongside the playful Sherbert Negroni, and their martini service with the choice of pickled onions, a twist or Arethusa blue stuffed castelvetrano olives.